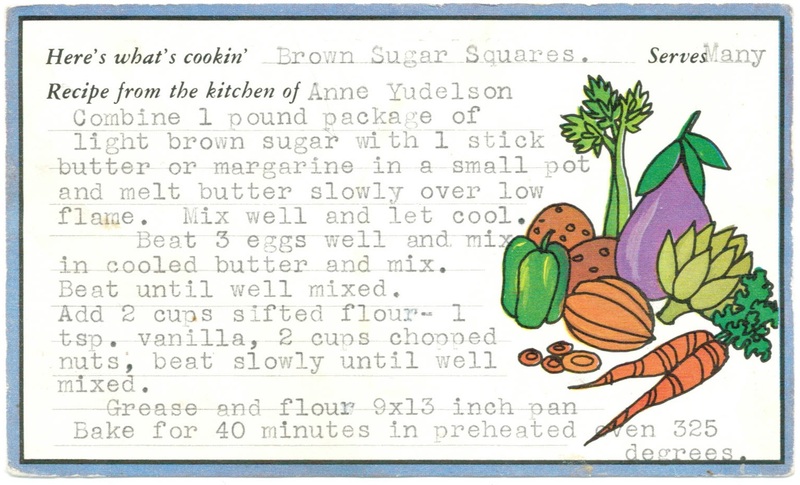 I don’t think your Mother’s cookbook would be complete without Chinese Chews. 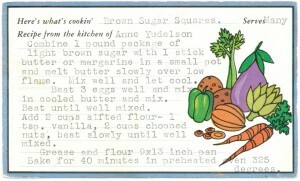 I have attached the page from the Pi Phi cookbook, where I placed the recipe back in 1983. I have so many fond memories of eating all the great food in your mom’s kitchen. Whenever I came over to your house, the first place I went was to the kitchen to see what was in the baking pan with the sliding lid, and the Chinese Chews were my favorite! I think I may make some tomorrow!